THE EPITOME OF EXCELLENCE IS DRENCHED ALL OVER THE INSIDE AND OUTSIDE OF THIS S CLASS. 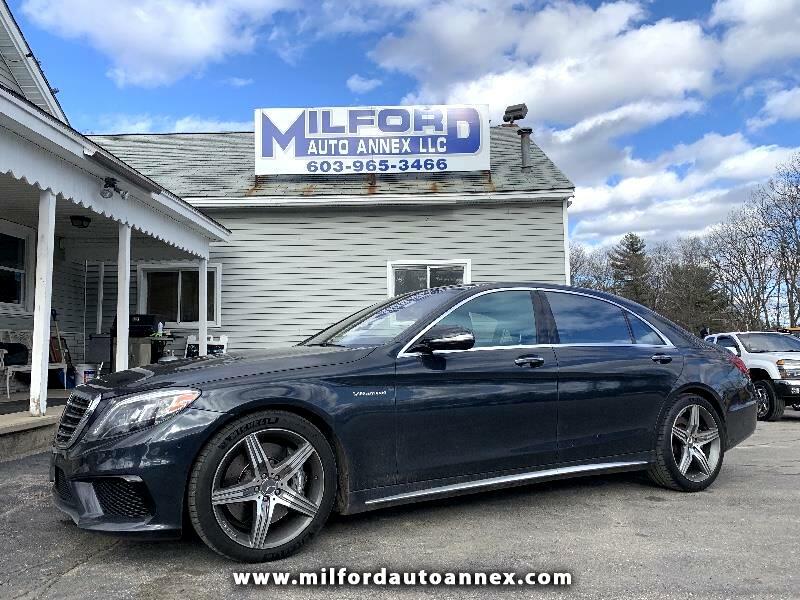 MERCEDES TOOK THE INCREDIBLY LUXURIOUS S LINE AND PUT IN A ULTRA RESPONSIVE 6.3L SUPERCHARGED AMG V8 THAT WILL LEAVE YOU IN AWE EVERY TIME YOU TAKE IT ON THE ROAD. LOADED WITH EVERY FEATURE FROM PARK & DRIVE ASSIST, LANE DETECTION, NAVIGATION, DUAL HEATED AND AC SEATS, DUAL CLIMATE CONTROL, AND SO MUCH MORE TO THE POINT THAT YOU WILL ENJOY SITTING IN THE REAR SEATS AS MUCH AS THE FRONT. PRICED THOUSANDS BEHIND RETAIL, THIS CAR HAS BEEN PRICED AT A WHOLESALE NUMBER FROM A RETAIL DEALERSHIP. COME ON DOWN AND SEE WHY ALL OUR CUSTOMERS RAVE ABOUT OUR CUSTOMER SERVICE, THAT WILL NOT BE MATCHED BY ANYBODY ELSE IN THIS INDUSTRY. CALL OR EMAIL TO GET PRE APPROVED TODAY!! !